It can be daunting not knowing how many glasses of wedding wine to serve your guests or which red wines or white wines to pour at your Wedding Breakfast. You’ll also want ideas for the best celebratory fizz to push the boat out … and which sparkling wine might be great if you have an eye on your pocket. Life can be so challenging. 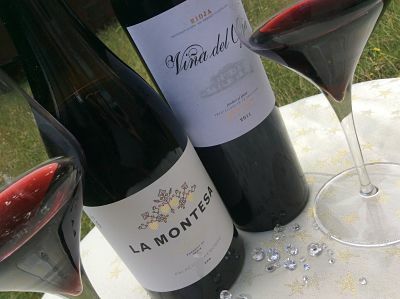 I mean, when the lovely people at WineTrust100 online wine merchants asked me if I’d like to write a series of blogs to help you with your wedding wine choices, what could I say? The answer had to be yes. 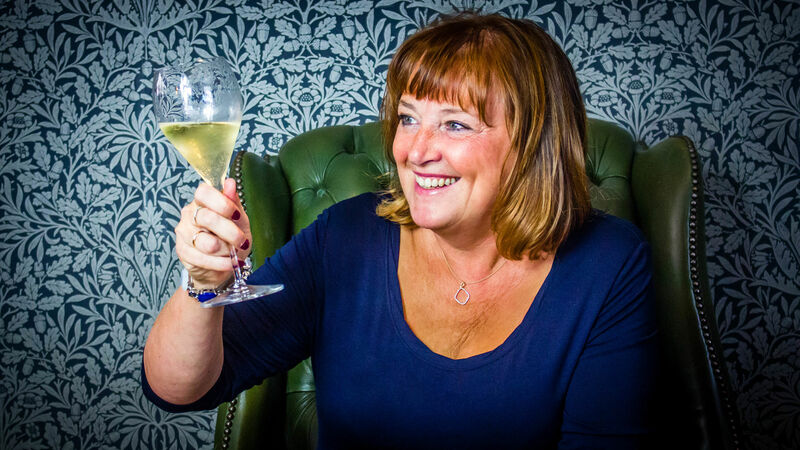 Here’s the links to my wedding wine blogs for WineTrust 100. 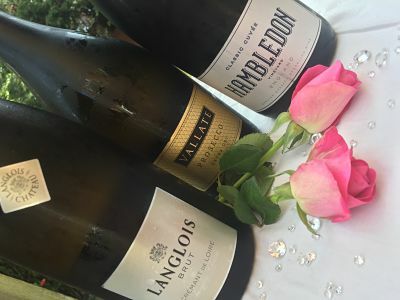 There’s so many styles of sparkling wines to choose from; but what could you pour to celebrate the moment you agree to get married; and which fizz would be ideal to share with guests at the wedding reception? How Much wedding wine should you provide for Guests? I like my Scientific Experiments. If you’re struggling to work out how much wine you might need for your special day, then drink a bottle of wine (that’s a good thing, right?) and then follow my instructions. You’re never going to be able to please everyone with your choice of wines with your wedding day meal so there’s no point getting into a tizz over it. Luckily for you, I partnered with WineTrust100 to bring you some suggestions. A wedding wine with your cake? Well Why Not. Don’t forget your wedding cake might be perfect with a dessert wedding wine. This late harvest riesling, pictured below, is delicious. Blimey, we’re in September how did that happen. As it is Organic September it’s only right to bring you a couple of eco-friendly wines. But before then, I’ve been flirting with Spanish wine. It wasn’t a conscious effort, just coincidence that I’ve tasted a few recently. I like it when a plan comes together even if I didn’t have a plan in the first place. I’ll kick off with a pink and then its whites all the way folks. 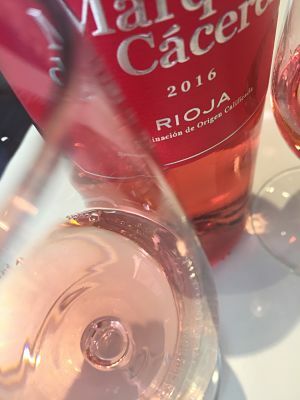 Rioja Rosado 2016 Marqués de Cáceres (£8.99 or £7.99 in a buy six deal at Majestic, 13.5% abv) is a blend of tempranillo and garnacha and is spot-on for an autumn barbecue. It isn’t backward in coming forward, displaying ripe strawberries and rose hips, with just a hint of spice. It’s sister white wine Rioja Blanco 2016 Marqués de Cáceres (same prices in Majestic, 12.5% abv) is 100% viura and is prettily fresh and fruity, with no oak involved in its creation. It has notes of lemon and lime, a good acidity and is ideal for a midweek relax. Beronia Rioja Viura 2016 (RRP £9, Ocado or thedrinkshop.com, 12% abv) has a little more to say for itself. Yes, this wine displays classic notes of citrus, but flirting alongside are peach and mango. I was a lazy cook the night I sipped this Spanish wine, so I tossed crayfish tails in a salad with a squeeze of lemon and a shake of pepper. The seafood-friendly wine was happy. Verdejo wines have a bright style similar to sauvignon blanc. Verdejo, El Tesoro 2016 (£6.95, winetrust100.co.uk, 12.5% abv) has a peep of ripe apples hiding behind the more pronounced lemon and lime aromas. To taste those citrus flavours roll excitedly in good acidity and there’s an edge of spice and a touch of creaminess. Ramón Bilbao, Rueda Sauvignon Blanc 2016 (£10.95, greatwesternwine.co.uk, 12.5% abv) This is a new addition to Ramón Bilbao’s portfolio and mmmm – this wine is tropical. There’s moreish aromas of lychees, passion fruit and hints of orange zest and those same fruits are sprightly in the mouth, fresh and balanced with the acidity. I love it. Also in my glass … my final Spanish white leads me nicely into Organic September. Frontos Blanco Seco Ecologico 2014 (£14.50, 12.5% abv) hails from Tenerife and is sold by meadowdalewines.com, a new online merchant specialising in organic, low-sulphite and biodynamic wines. The grape is listan blanco which is the same as palamino, the base for sherry. Frontos has subtle notes of apple, grapes, honeysuckle and a hint of tropical fruit. The aromas are echoed in the mouth. I’ve poured my second wine from Meadowdale Silvano Follador Valdobbiadene Prosecco Superiore DOCG Brut Nature 2016 (£19.50, 12.5% abv) while tidying up my words above. The wine has popped with giddiness into the glass and a few minutes later it is still giddy. It is a classy prosecco and the wine has been allowed to sit on its lees before undergoing the secondary fermentation. This adds a complex, slightly creamy character to this upright, linear, elegant prosecco which has apple and pear aromas. It isn’t one to rush.